Your body depends on water for pretty much every function — digestion, circulation, cell function, brain function, nerve activity and the list goes on. An adult is made up of between 55-75% water, so not drinking enough water on a daily basis can cause major health problems. 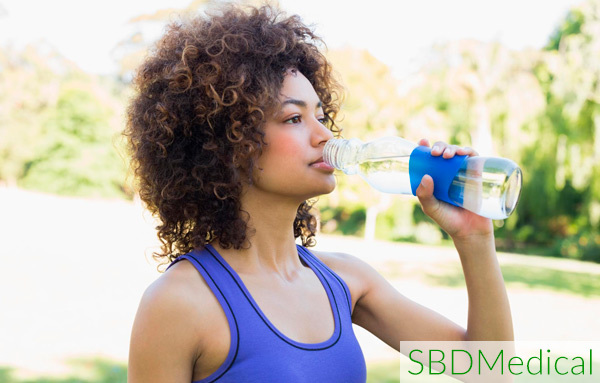 In addition, water has benefits like keeping you looking young and keeping your skin hydrated. For women in particular, these facts alone can be more convincing because simply getting enough water can slow the looks of aging, including wrinkles. Having a hard time finding ways to get enough water in everyday? Find a large cup or bottle that you can have with you all day. It’s easier to drink more when you don’t have to keep refilling. Keep track of your daily intake with an app. Sometimes watching your progress provides encouragement to keep going. Add a little flavor or fruit to your water – just watch the sugar amount. Choose water with meals instead of a soda or tea.